Our NH3 (anhydrous ammonia) hydraulic actuators are in-line rotary actuators (Catalog No. R-6572). As a leading manufacturer of hydraulic actuators, Continental's in-line hydraulic rotary actuator is designed to be mounted quickly and easily on any NH3 metering device. 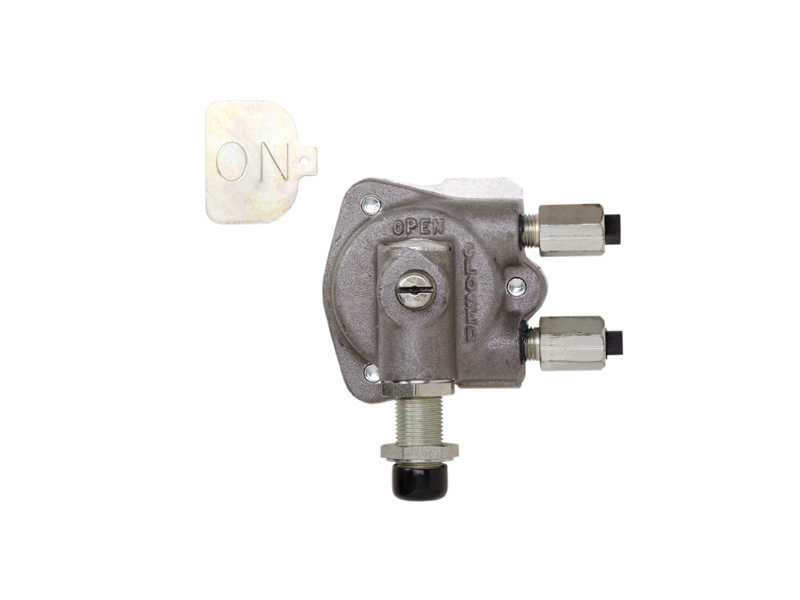 Using standard 1/4" ports for hydraulic hook-up makes this shutoff easily integrated with any tractors hydraulic system. The R-9500 uses a rotor actuated ball valve insuring along and maintenance free life. Available in 1" or 1-1/4" models. 1) Adaptors are preset at factory. 2) Overtightening may cause casting to crack. 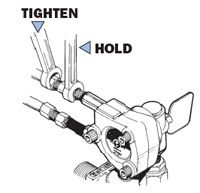 3) Always use backup wrench on adaptors when connecting hydraulic lines. 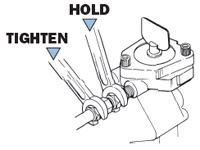 WARNING: In the event of a tractor power failure where it becomes necessary to shutoff the hydraulic actuator, disconnect both hydraulic lines at the actuator body and manually turn flag of actuator to the "off" positions. To avoid cross threading or galling use lead base anti-seize thread sealant (available through Continental). 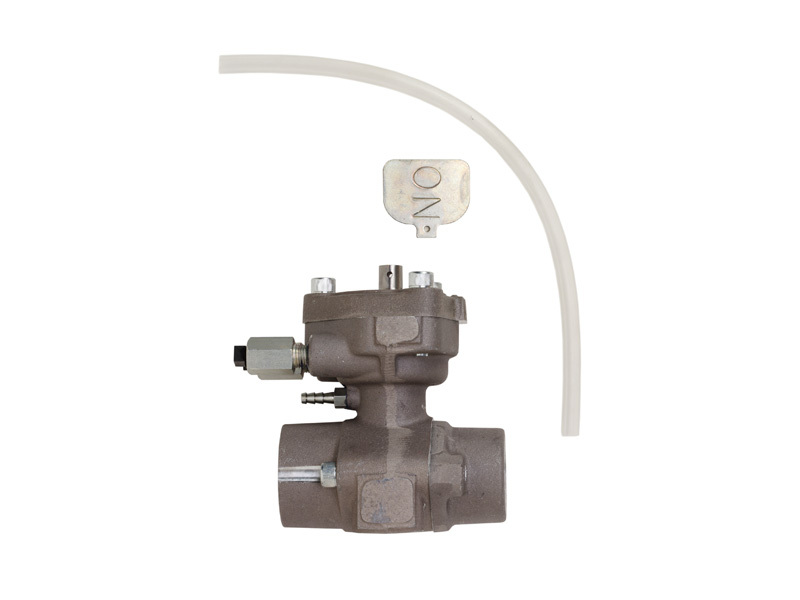 Catalog No.R-9590 Hydraulic In-Line Rotary Actuator, also known as a hydraulic ball valve, is designed to be mounted quickly and easily in front on any NH3 metering device. 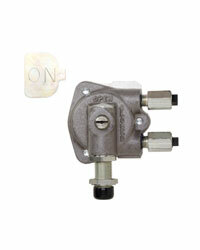 Using standard 1/4" ports of hydraulic hook-upmakes this shutoff easily integrated with any tractor hydraulic system. The R-9590 uses a rotor actuated ball valve insuring a long and maintenance free life. The R-9590 does not use a "positive seal". It will allow pressure to bleed back to the return line. 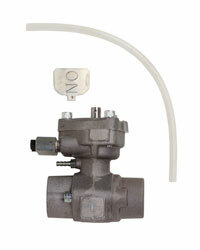 Continental recommends that these hydraulic actuators have a separate and isolated spool valve control. These actuators require 1/4" hydraulic hoses and fittings.